Cars get smaller, but the amount of gear that the police carry has increased. Aside from roominess, utility vehicles have higher seating positions that make it easier to get in and out all day. Police departments are not immune to the utility-vehicle wave that has engulfed retail auto sales, and for the same reasons. The trend is evident in both Canadian and U.S. police services, where tall wagons such as the Chevrolet Tahoe and Ford Explorer with pursuit-rated police packages nearly equal, and in some cases exceed, their sedan counterparts like the Dodge Charger and Ford Taurus. Sedans likely will remain the vehicle of choice for patrolling built-up urban areas, but for suburbs and rural areas, SUVs are becoming the norm. 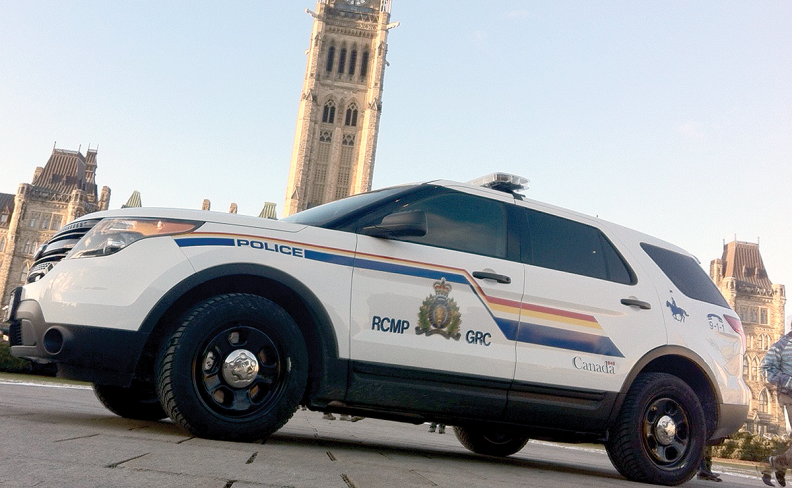 The RCMP operates the biggest law enforcement fleet in North America, Furlotte said. It buys between 1,800 and 2,000 vehicles a year; its current fleet has 1,200-1,300 police-package sedans and 1,600 utility vehicles. Officers, like civilian drivers, like the bigger vehicles’ higher-up seating position and ease of entry and exit. “The larger the guy, the harder it is to get into a smaller car,” said Sgt. Michael McCarthy of the Michigan State Police (MSP) precision-driving team, whose annual evaluation of pursuit-rated vehicles is considered the reference standard for police fleet purchases. McCarthy, who’s been involved in the annual police-vehicle trials since 2007, said the performance gap between police sedans and SUVs has also narrowed. The Detroit Three own the North American police market, providing pursuit versions of a dozen or so civilian models with upgraded suspensions, brakes, cooling and electrical systems, as well asinterior modifications. Automaker pursuit designations are a grey area, McCarthy said, so the MSP trials provide benchmark figures for acceleration, top speed, braking and handling. Reliable totals for police fleet sales figures aren’t precisely known. In the United States, it’s thought to range up to 100,000 a year but McCarthy pointed out that many departments, such as New York, don’t license and register their vehicles. Ford Canada averages 1,700-2,000 pursuit-rated vehicle sales a year, said Rob Gramada, responsible for police fleet sales. Neither General Motors nor FCA would disclose sales figures, but Fred Dixon, GM Canada’s manager of fleet marketing and government sales, said it offers only the Chevy Tahoe in a pursuit-rated package in Canada. Ford offers the Police Interceptor sedan, based on the Taurus, and the Police Interceptor Utility (Explorer). Dixon said that while GM does not offer pursuit-rated sedans in Canada, its SUV sales could also be growing because police engage in fewer high-speed chases in Canada. “I’m not sure there’s as much pursuit going on anymore because you can’t outrun a radio,” he said. That in part is due to the Tahoe’s old-school body-on-frame design, Dixon said. McCarthy agreed the Tahoe’s cost per mile is lower than for the MSP’s sedans but a large price hike in 2015 wiped out most of the benefit. “So now we’re looking at it for specialty purposes, divers, K9 guys who require more covered cargo space,” he said. A big selling point for the Ford Utility for police-fleet buyers is its high degree of parts commonality with the Taurus-based Interceptor sedan, McCarthy added. They’re built on essentially the same platform and share major mechanical components. Ford utilities far outstrip sedans in U.S. police sales. The sedan does better in Canada, though largely the AWD V-6 versions. A pursuit-rated front-drive version with a four-cylinder engine, which McCarthy said turned in performance numbers comparable to the old Crown Victoria sedan, is available but Gramada said the take rate is low.